« Words Matter–Words Proven By Dataupia. Little Things Doth Crabby Make Part IV. 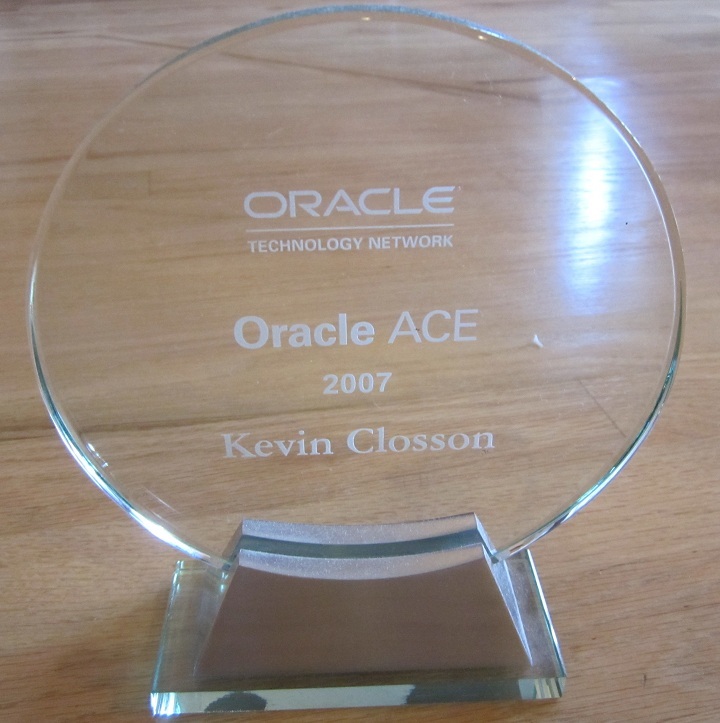 Shared Disk for Oracle11g Clusterware: Not Shared Unless Writable. 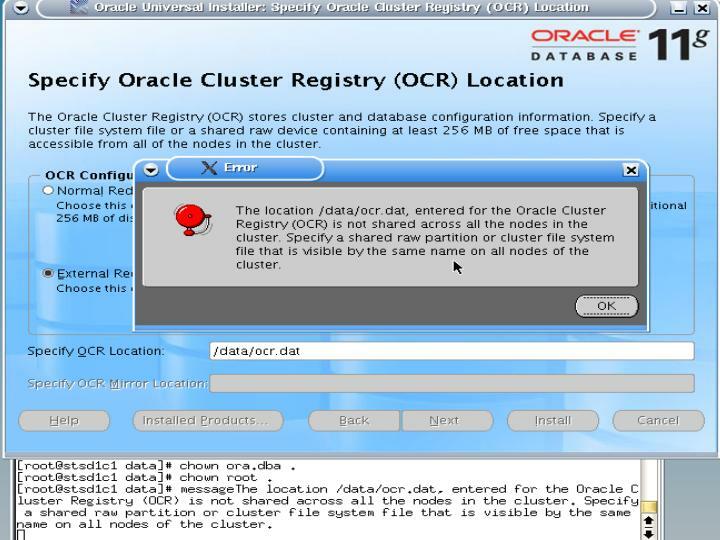 Cluster Registry (OCR) is not shared across all the nodes in the cluster. the same name on all nodes of the cluster. In the following screenshot you can see that in the shell at the bottom I first did a chown ora.dba of the nfs directory where I want to locate the OCR file. Clear evidence of cheating. See, when I did that I was able to proceed to the next screen (voting disk). I instead hit the back button on the voting disk screen and changed the ownership of the /data directory just to raise the error and make this quick blog entry. Nice, aren’t I? Anyway, the deal is that this is an error message without an error number erroring erroneously-afterall, the /data directory was in fact shared between the nodes. The problem was that the install precedure uses a write in that directory as evidence of whether it is shared or not. If it isn’t writable it thinks it isn’t shared. I am getting the same message. I am able to write to the directory as oracle user on both the servers. Please advice. make sure it is shared storage and set the permissions properly.